Looking for the perfect RV but haven't found it. 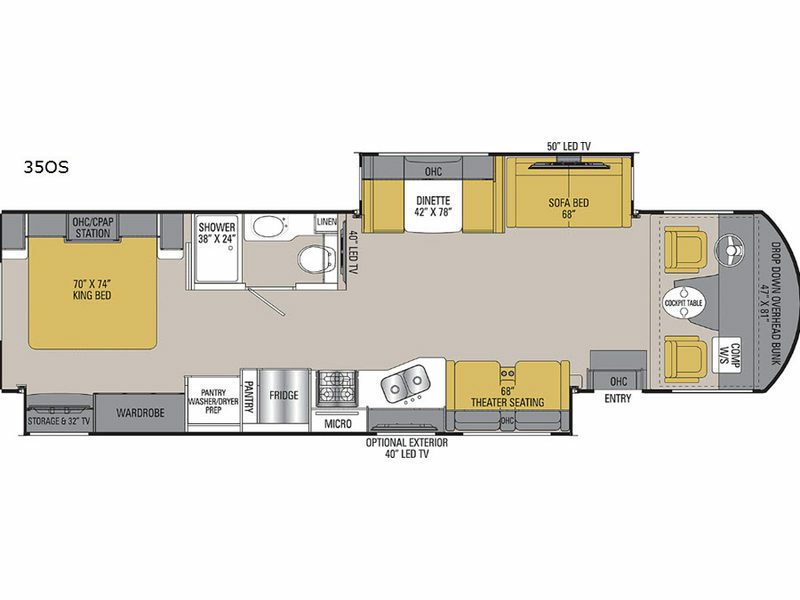 Just imagine relaxing in theater seats while watching the 50" or 40" LED TV and visiting with other RVers sitting on the sofa bed and dinette. Now imagine washing your clothes in the optional washer and dryer that you chose to add to keep your clothing clean where ever you stop. This motorhome also allows you to get a good night's rest on a king size bed, wake up to watch the 32" TV while laying in bed, and get cleaned up in a full bathroom. You might even choose to add an optional overhead bunk above the cockpit table for more sleeping space. Step inside!